I started travelling when i was young as a result of my dad and his travels while working for an NGO, This continued in campus where I got the chance to travel to certain places across the country i had never had the chance of visiting. After a few years of working and travelling, I got married and we started a family. The two groups of friends I travel with were also at the same place. Starting families and we made a decision to continue travelling together. The dynamics are however different since children and nannies are now included in the mix. So now the objectives of the holiday are to spend time with the kids doing something they love. As both groups consist of more than 5 families I am always looking for accommodation for at least 20 people. So how do you go around finding accommodation for a group this big? First you decide where you want to go with the specific area in mind e.g if you want to go to Mombasa, then say Nyali or Shanzu if south Coast say Tiwi or Watamu. Before Airbnb became more common place these are some of the other places that offer accommodation for larger groups. Hotels – There some hotels who offer both hotel rooms and cottages or apartments. Apartments tend to be able to take more people and for families travelling together that very important as you want to stay together. Most apartments though are better on a self catering option which means you will have to get a chef and shop for food. 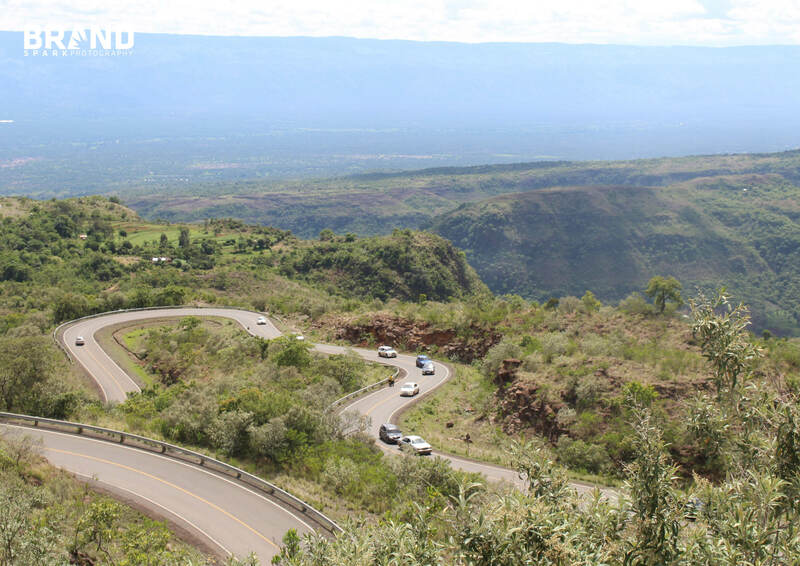 Some hotels which offer this include Great Rift Valley Lodge and Hillpark Tiwi. For a chef it takes time to find the perfect one who works with the dynamics of you group. Due to doing this multiple times I have about 3 chef’s I use who understand how to cook for a diverse group of adults and children. 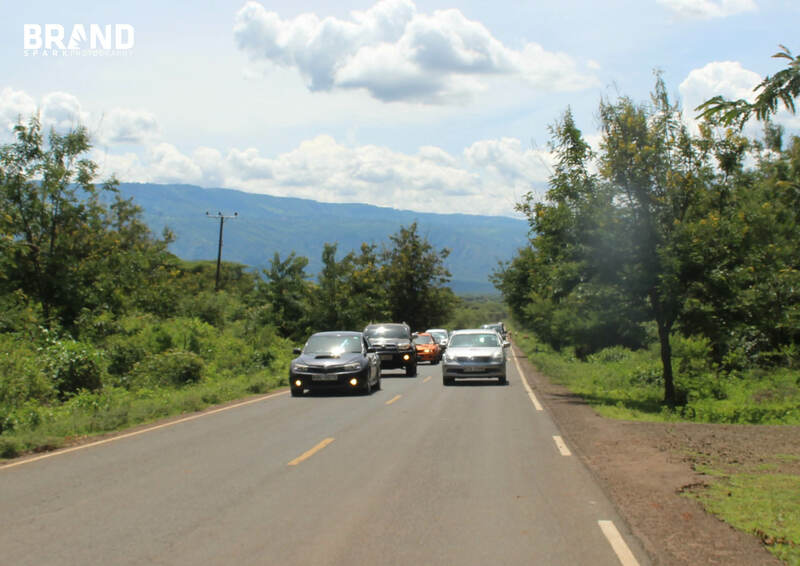 Additionally Great Rift Valley Lodge offers parents the Explorers club for kids which organizes different activities for them that they can do in and around the lodge. Holiday Homes – Holiday Homes are homes whose owners have put them out in the market as places one can hire it for a weekend or a whole week. Holiday homes are scattered across the country and thus are very hard to find or even know. That’s were Langata Links Holiday Homes Kenya http://www.langatalinkholidays.com, Discover Watamu https://www.discoverwatamu.com/, Kilifi Konnection https://kenyacoast.com/ and Kenya Holiday homes http://www.kenyaholidayhomes.com. Now there is Booking.com and Airbnb, though I should say in Kenya it’s a bit hard to find one property that can accommodate all 20 people on Airbnb. 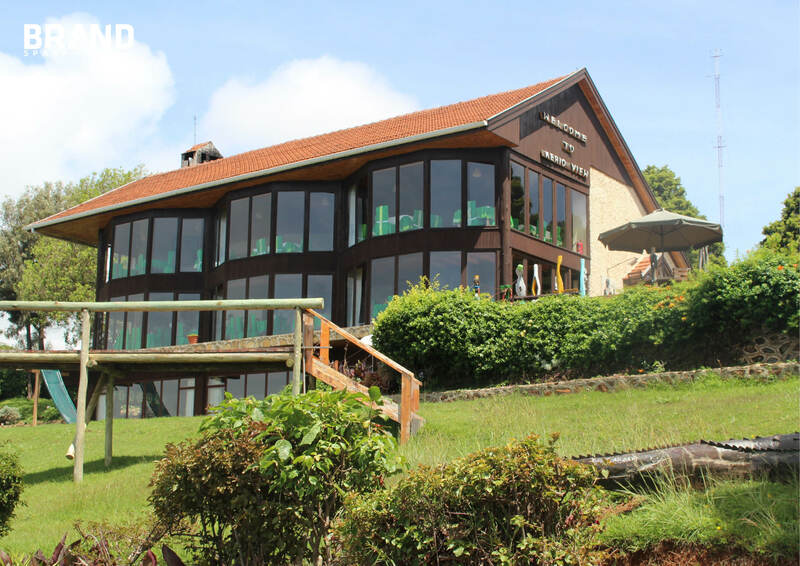 I have dealt most with Holiday Homes Kenya by Langata Link, who had quite a good list of holiday homes in different parts of the country. Holiday Homes had a good listing showcasing the amenities locations and dates available. Downside was their listings did not include a different rate for kids as kids were considered adults even though their accommodation arrangements are different. Currently they have a new site langatalinkholidays.com with quite a number of different offerings. Airbnb – Airbnb is the new kid on the block with different solutions to fit any type of budget and also location. The menu helps you be able to choose location, budget and total number of people you would be looking to have. The system works well though it’s restricted to a debit or credit card payment. 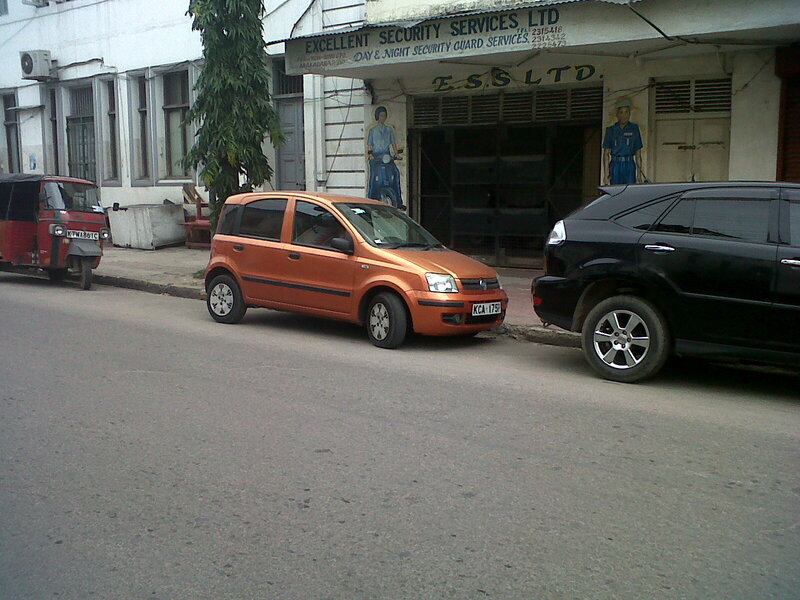 Certain cities like Nairobi and Mombasa tend to have more options though this is spreading out to other towns. The only downside is finding a house for a big group and maybe that is a problem only I face and also the fact that you can’t pay via mobile money. Other options include bookings.com and jumia travel which I have used albeit fleetingly. 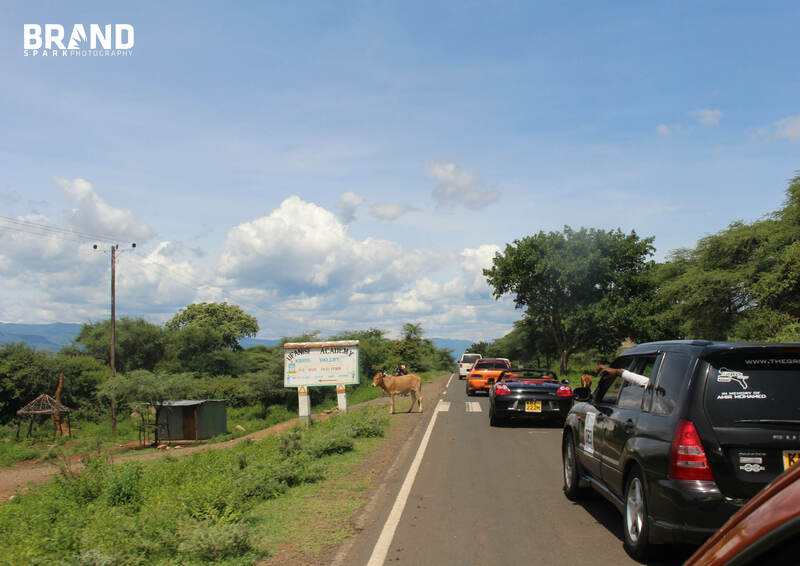 Jumia Travel worked well the last time I was looking for an affordable hotel in Nakuru town. 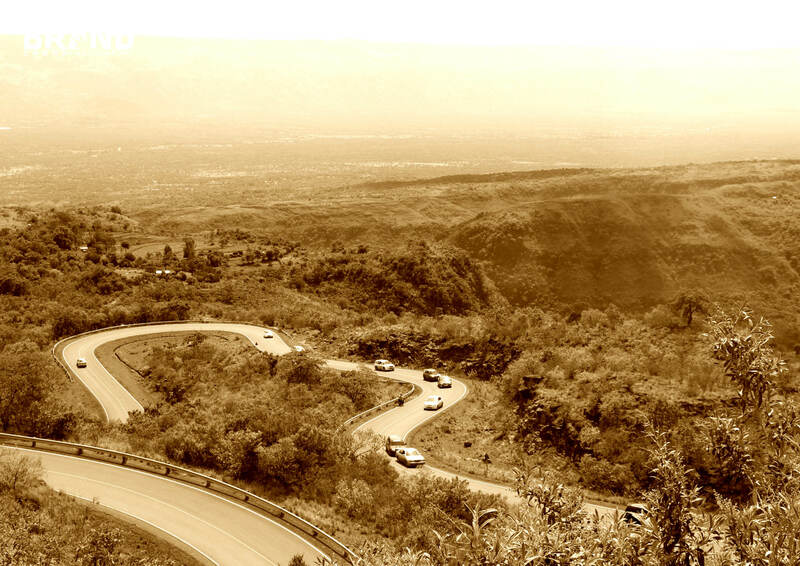 Location – How far from the town/city is it? At the Coast it’s always about how far from the beach is it? I have found properties on the 2nd or 3rd row tend to be better priced that properties beachfront. Also how easy is it to get around? Travel times – How long does it take to get here? I enjoy driving and can practically drive anywhere. I however need to factor in the travel times to the different places. E.g to drive to Mombasa i always find it easier to leave Nairobi at 4am as there will be less vehicle and human traffic all the way to Mtito Andei. Amenities;- When travelling with the kids I’m more open to a facility with a swimming pool and a recreational area than one without. Also in the coast i will always go with the house with a resident swimming pool. Room Facilities – Wifi, TV make a big difference. I have been to holiday homes with a complete library of books, videos and even board games. That was completely amazing and made our holiday so worth it. Packing – what do you need to pack? Does the place offer towels and blankets? What don’t they offer? 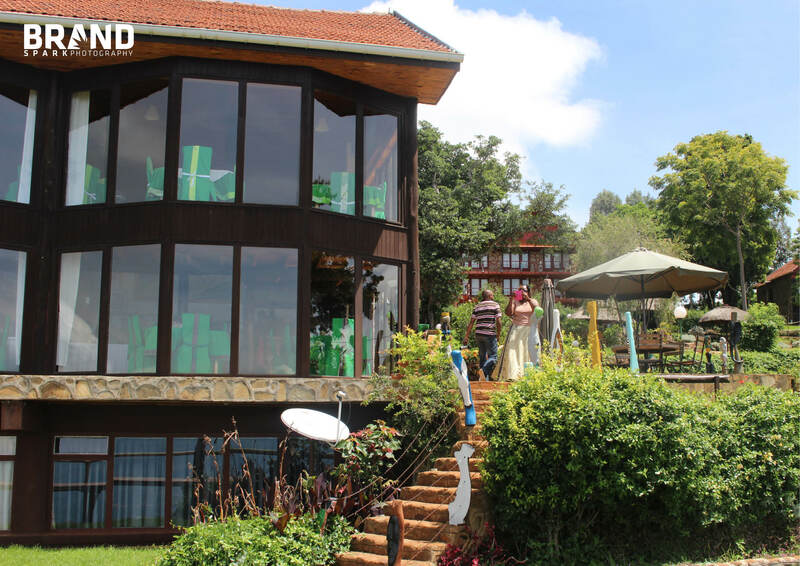 Self Catering – usually with Self catering trips with my 2 groups since they are during the long holidays I have a longer period to plan and hence I engage the chef on the menu early so that we agree and know where to shop. To have a more sustainable budget ask your chef if there are any places in the neighbourhood where you can make purchases in wholesale. I hope this information has been helpful and if you need any help planning a holiday for a big group please drop me a line. I love travelling. I love getting into the car and driving to a new town with no plan, no previous booking just to discover what new thing we can find there. Why? Well, my dad used to work for an NGO back in the 80’s and he would drag us along with him on a number of his trips. His travels with us though were not too far away from the city with Nakuru and Meru being the farthest I remember traveling with him. 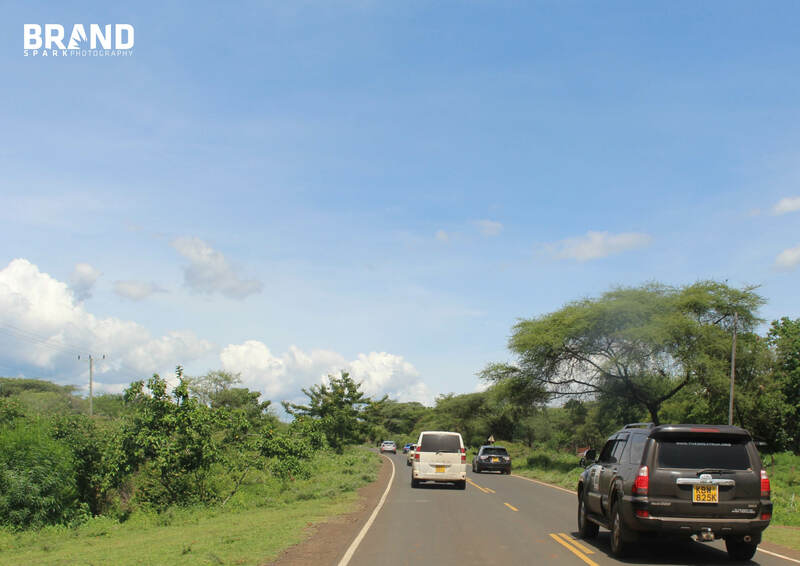 As I grew up, I wanted to see more, experience more of Kenya from the wildlife, the beaches, the highlands, the mountains and the different national parks. All this became possible when i joined Campus. Daystar University opened for me the possibility to travel to different places via being in different clubs like Doulos, Drama and Dance. It also did help that I was the bus procurement guy, getting different buses for different groups taking groups. I did my first ever trip to Mombasa when i joined Campus, then proceeded to go to Mombasa twice every year. 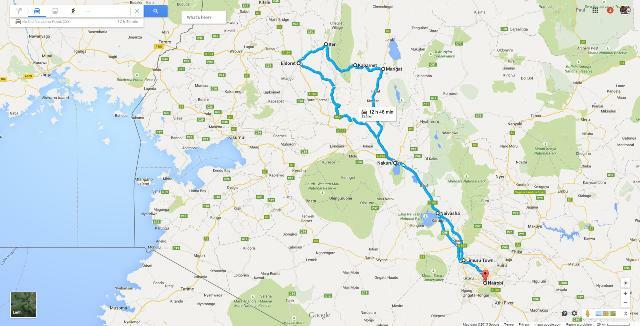 Other trips included Eldoret and a long bus trip to Kampala. After Campus, with 2 groups of friends we started traveling together in April and December for the holidays. Always within the country and as our numbers have grown (kids) our needs have changed, but we have always been able to find a place where we can go for the holidays. I will be blogging about how we go round finding our accommodation choices, places to travel to and choices of where to stay with or without the kids. Let me know, what holds you back from travelling? So KFC in the UK last year changed their logistics supplier to DHL and Quick Service logistics, who had been supplying KFC in Europe since 2011. 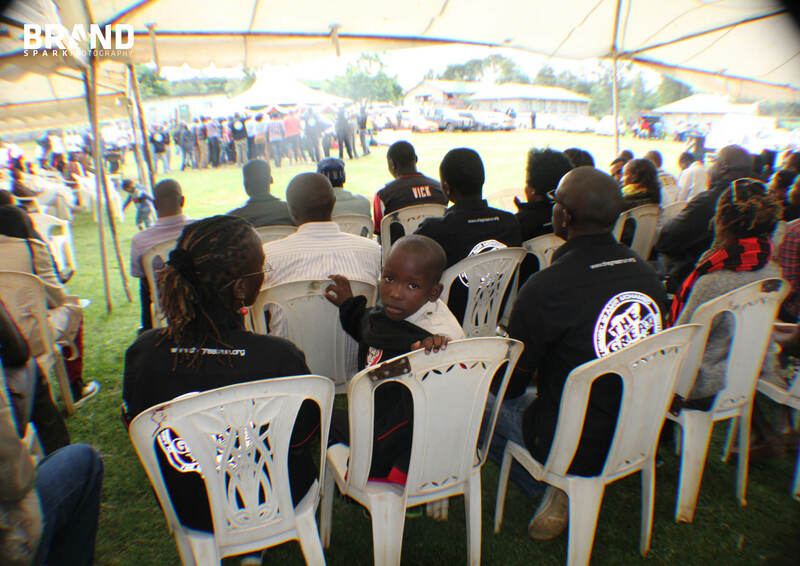 The change that happened on Valentines day was beset with a myriad of problems that by 18th February less only around 266 restaurants were getting their supplies. The problem looked un-surmountable, a PR crisis of epic propositions that many brands would take a very long time to survive from. KFC in the UK though took the bull by the horns and created an amazing stand alone advertisement that ran in two national daily papers in the UK. The ad, an apology to all their customers in the UK who had to go along their day without their favorite chicken, was a bold one. They clearly stated the problem and looked to reassure all their consumers that they were resolving the issue. The brilliance of this ad was not with what they said, but rather how they said it. A bold apology that won them loads and loads of publicity both online and offline. It was a textbook case of how to turn a crisis into an opportunity. So as we start 2019, maybe we should take a moment and look at those 2018 ads that made us stand up and take notice. Ads that inspired us and made us all warm inside. but also ads that attempted to hit the mark but missed it by a mile. Lets look at 10 ads that were good, very good or really really terrible. Nike is that one brand that has been consistent through the years. With their edgy, inspiring, creative commercials they dont really shy from taking up the road less traveled. And in 2018, they reminded us just that with their ‘Dream Crazy’ Commercial. Featuring Colin Kaepernick, the NFL quarterback who started kneeling during the national anthem as a protest against racial injustice and systematic oppression in the country. The following week, and throughout the regular season, Kaepernick began kneeling during the anthem instead. The actions resulted in a wider protest movement, which intensified in September 2017 after president Donald Trump suggested that NFL owners should fire players who protest the national anthem. A brilliant commercial from a brilliant company who couldn’t have timed it better. It came out as Colin’s tiff with NFL and Donald Trump was still on going, which was an exceptionally bold move by Nike and the ad got massive support across the world though not without some controversy by a few people in the USA who are pro-Trump. Let me know your thoughts on the same…was this the best ad of 2018? 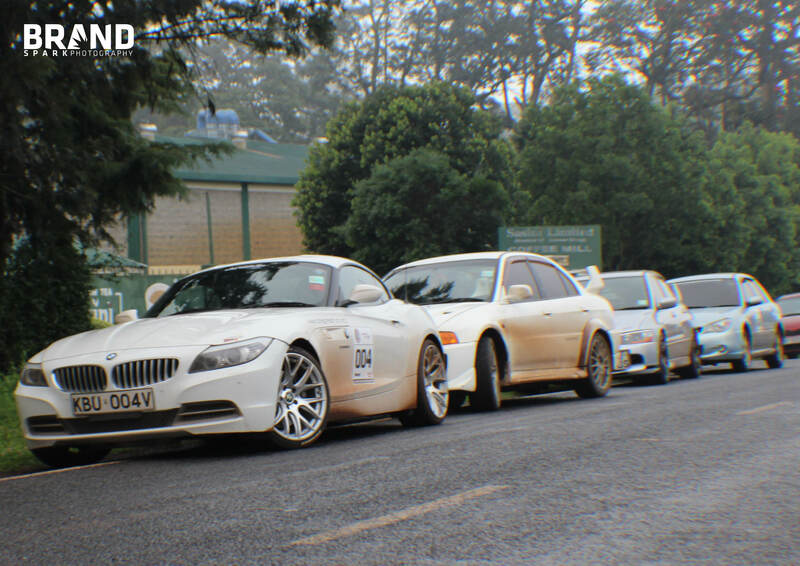 So over the past long weekend the Brandspark creative guys joined the Great run to Eldoret and back via Iten, Kerio Valley, Kabarnet and Marigat. 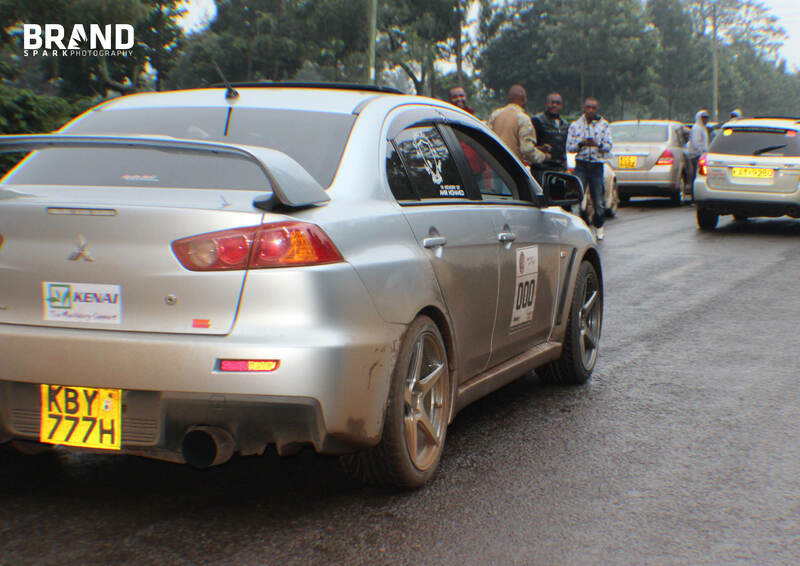 For those who dont know what the Great run is… The Great Run is a mid to long distance driving event for any form of motorized transport. 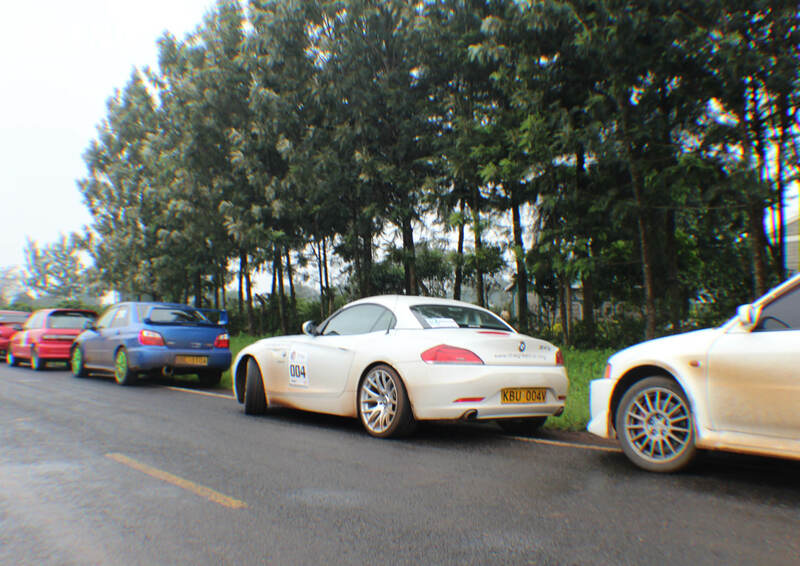 It is a chance for both driver and vehicle to cover hundreds of kilometers and take in some of the best roads in the country in the company of like-minded individuals. 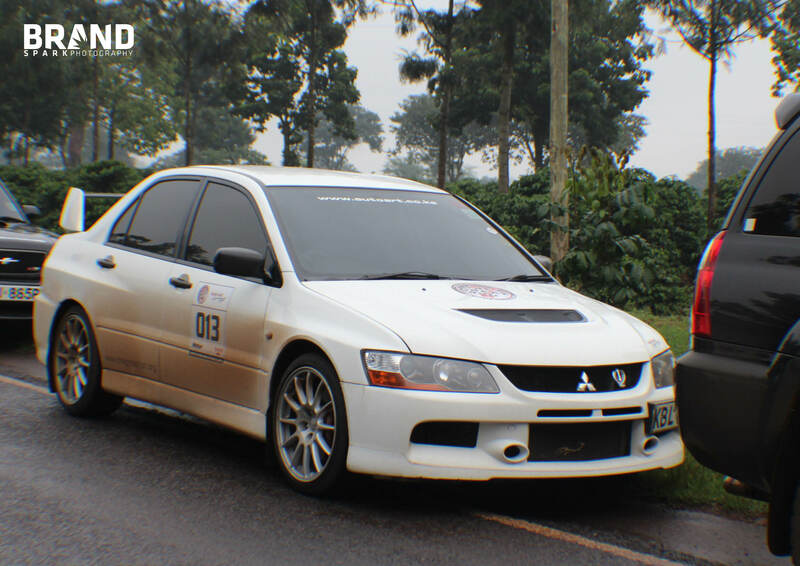 However, much as it is organized as such, the Great Run is not a form of Motorsport nor is it competitive. 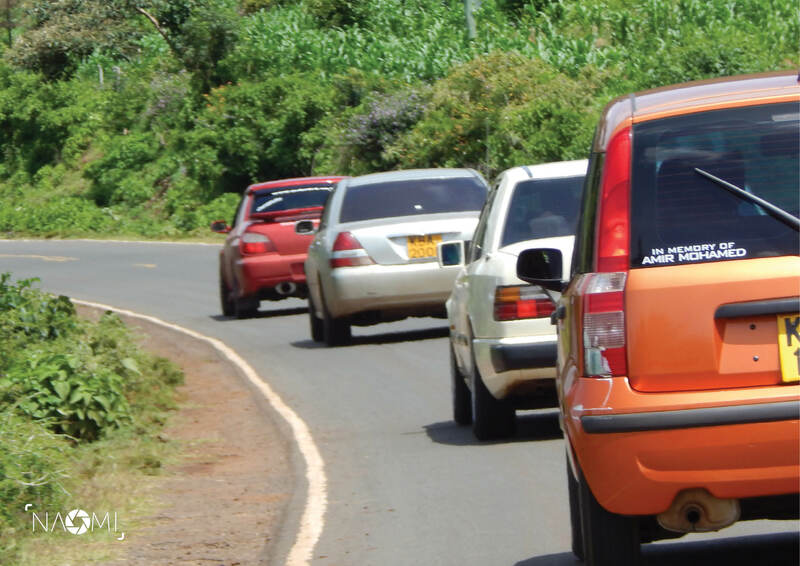 This is to ensure the highest standard of safety and obeisance of traffic regulations are observed, as the Great Run has been and will be conducted on public roads. 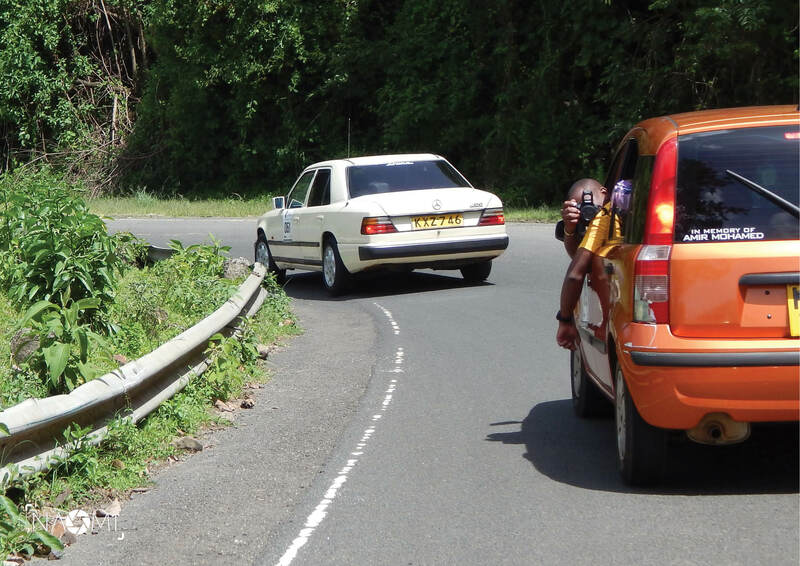 So the team at Brandspark decided to join the Great run this year and in we decided to do the journey in a rare car….A 2007 Orange Fiat Panda christened Isabella. I know everyone was asking if she was gonna survive the journey…but Isabella held her own. 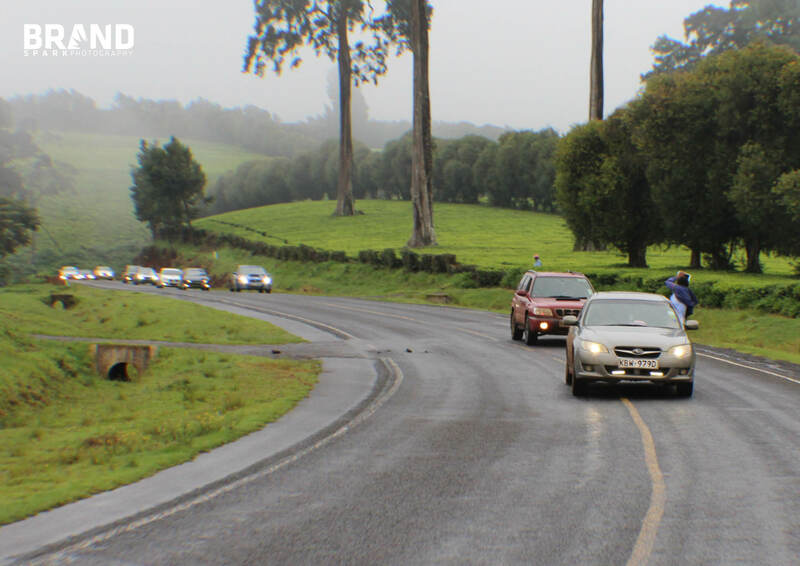 So early Saturday morning, and we met up with all the other Great Run participants right outside one of the Sasini tea factories right past Ndumberi a few kilometres past Kiambu town. As the Great Run 7 was being held in honour of Amir Mohammed, a great man and one of the organizers of the great run, it was fitting that we had a drive by the scene of his accident saluting this great petrol head. 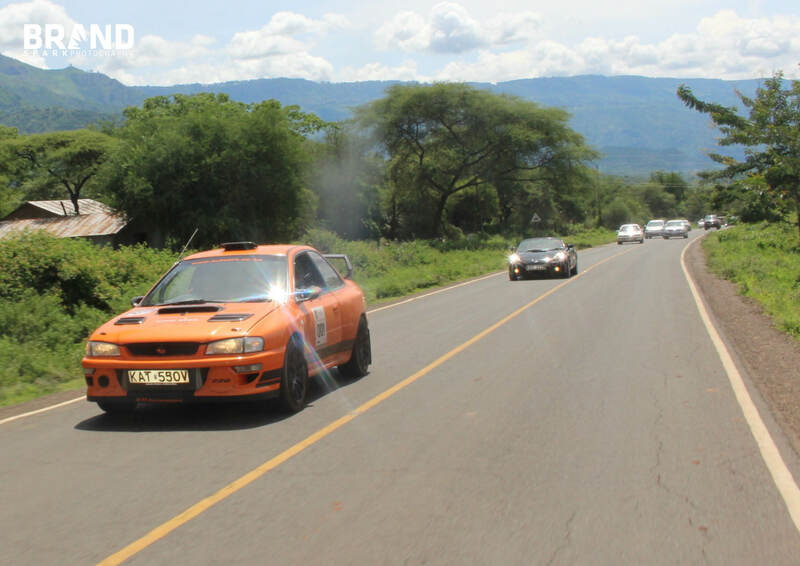 We started the journey at around 9 and the trip took us past Limuru to Naivasha, Nakuru, Mau Summit and into Eldoret. In Eldoret we were welcomed by Team Chebarbaer and led to the governors office. 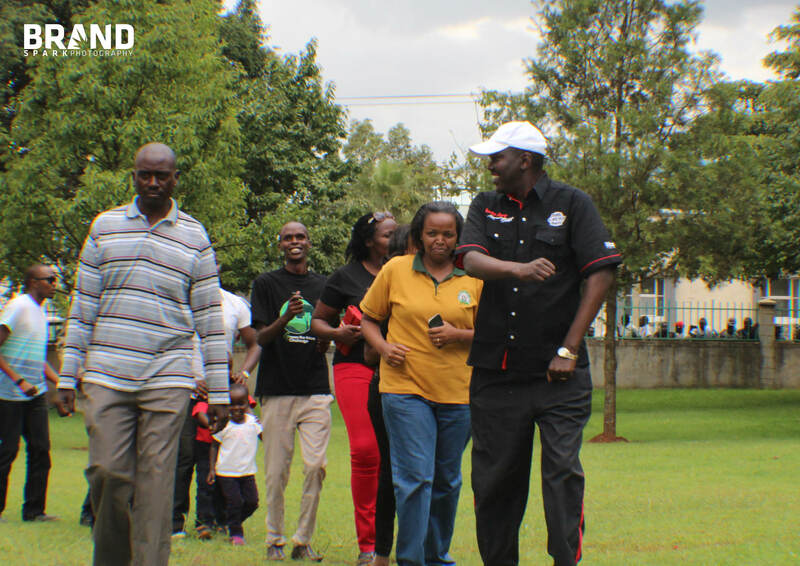 The Governor Jackson Mandago graciously welcomed us and accompanied us to the childrens home we were to visit in Eldoret town. 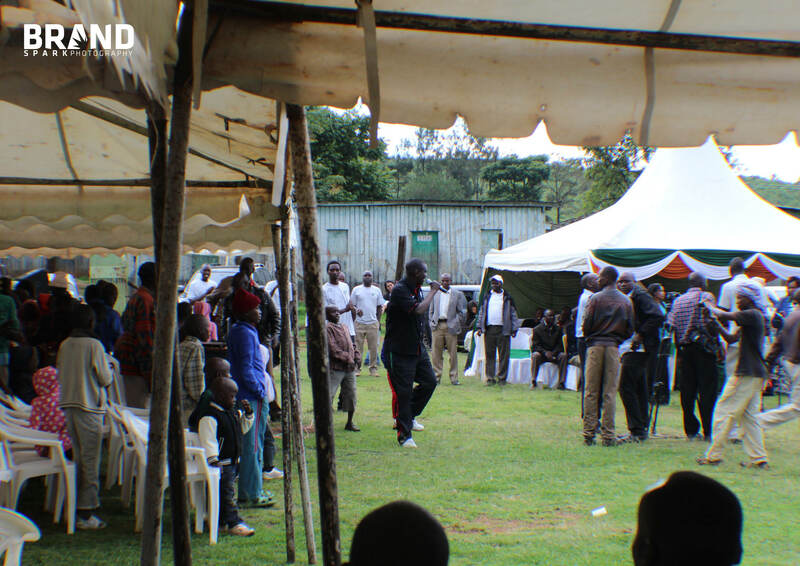 One of the main pillars of the Great Run is visiting a children’s home and in Eldoret is was no different. 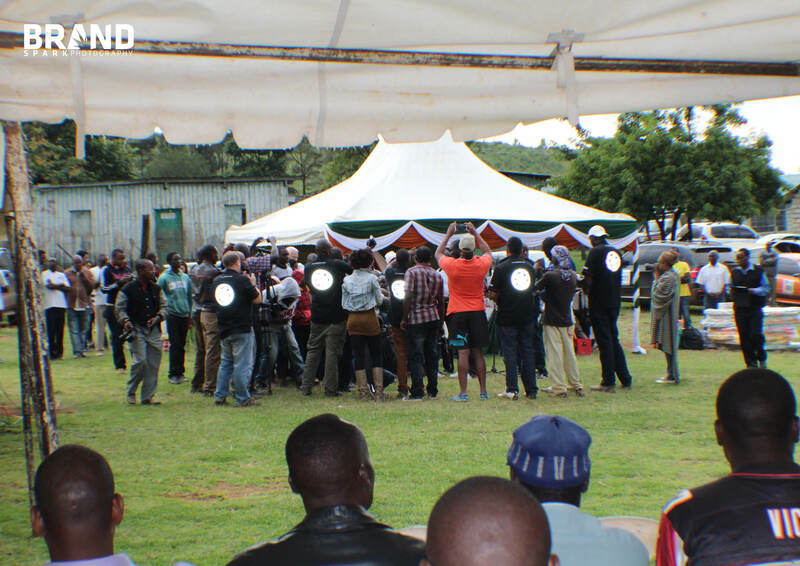 We gave out all the things we had and the Governor started an impromptu Harambee that raised 137,000/-. What more a local miller gave out a ton of flour to the children’s home. So after sampling the sights in Eldoret we retired to our hotel for the night, Hotel Comfy. 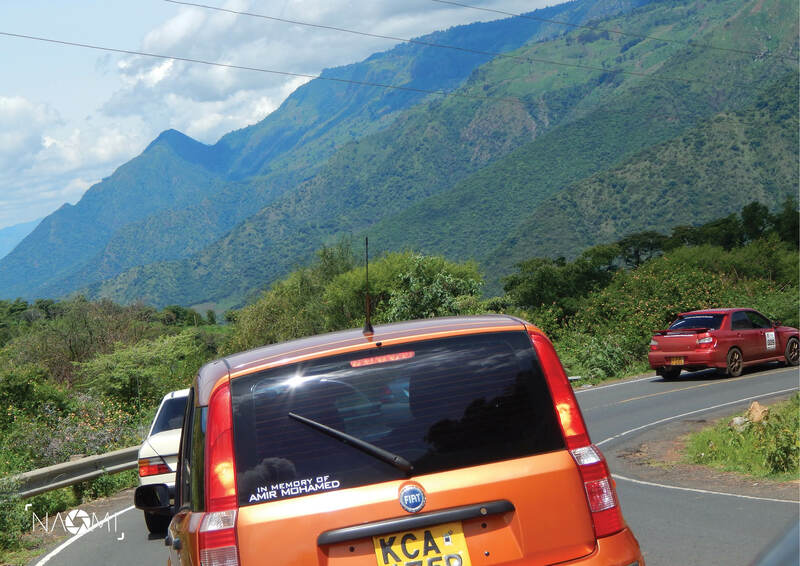 Next morning we had been promised a drive on on of kenya’s most scenic roads. 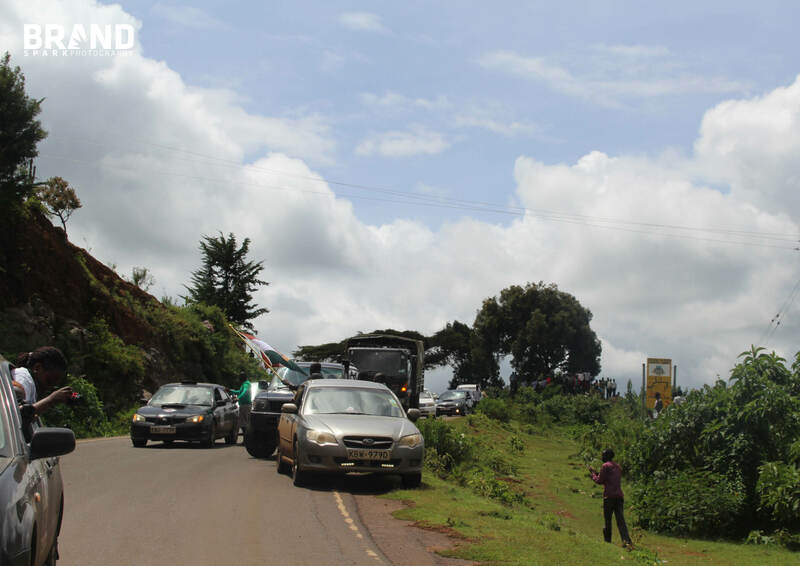 The road paases through Iten, Kabarnet, Marigat then back to Nakuru. 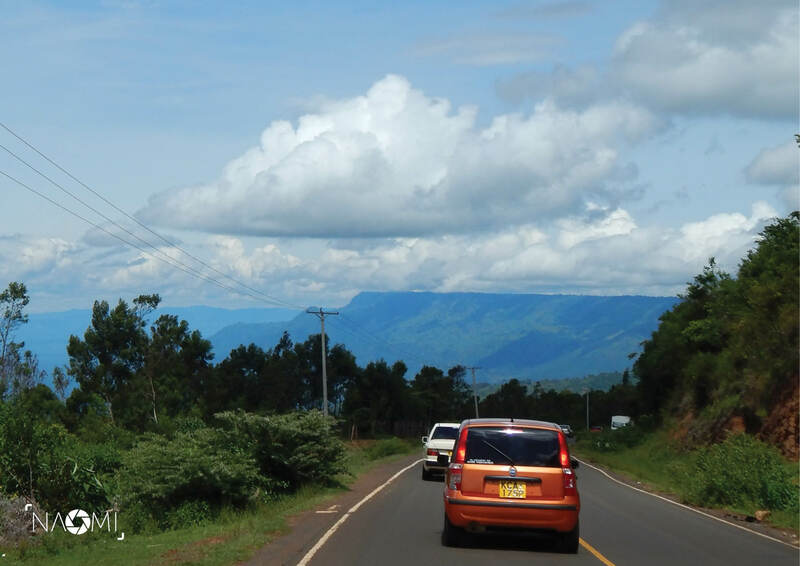 The drive from Eldoret to Iten was quite nice on a very smooth road and we made a stop at the famour Kerio Valley View Hotel. 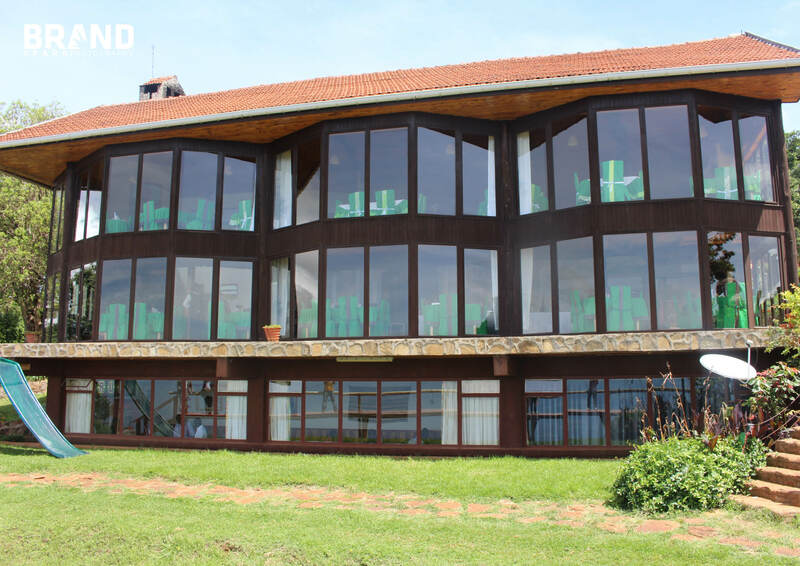 The Kerio Valley View Hotel, http://www.kerioview.com/ is an amazing hotel set on the top of the hill overlooking the Kerio Valley with view across to River Tambach and Lake Kamnarok. 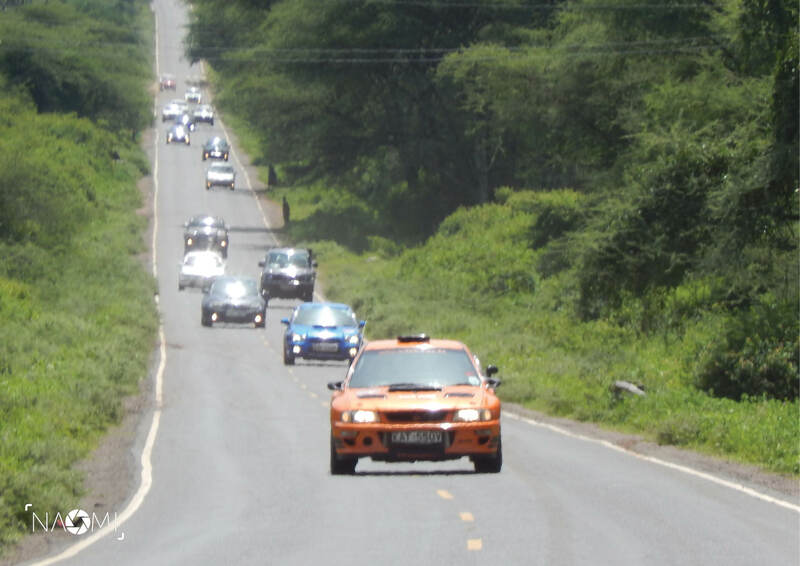 After a quick fill up with some freshly brewed coffee we were off to join our fellow Great Run 7 compatriots for a drive across Kerio Valley. And it was one amazing drive, a twisty tarmac road going down to the bottom of the valley with a view of an amazing waterfall up ahead. 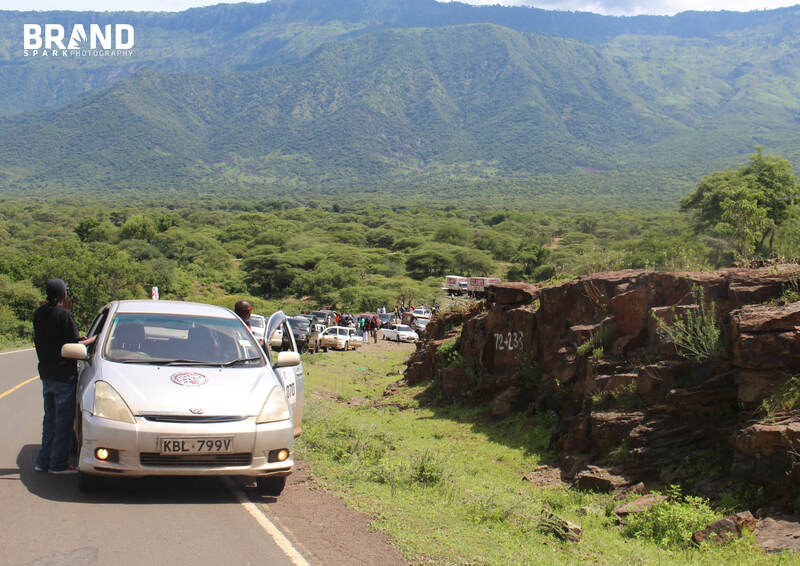 A great company of cars in which Isabella felt right at home in the hills, valleys and rivers of Elgeyo Marakwet and Baringo counties. 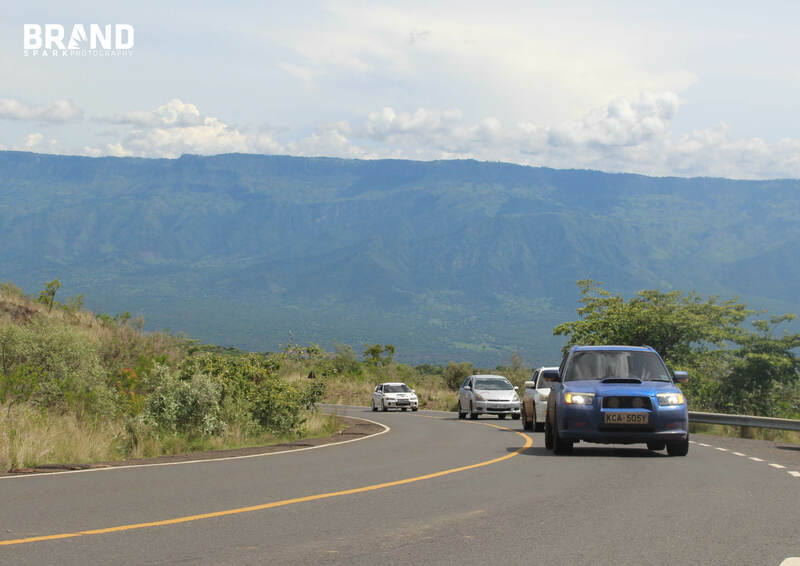 So you, yes you reading this blog…whats your excuse for not travelling and seeing our great country?